particularly fresh and inventive. You can see previous posts in the series here. 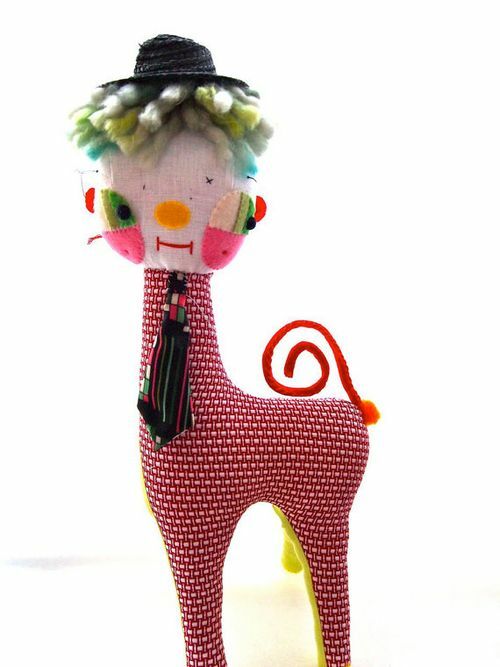 I also pin toys to my Inspiring Softies pinboard on a regular basis if you're looking for more inspiration. 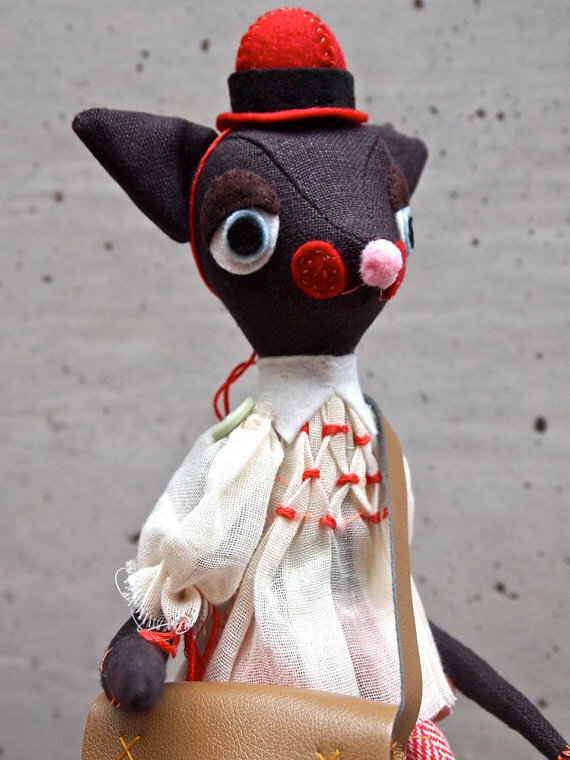 Jess Quinn is an artist who openly embraces the creativity of childhood. Pompoms, embroidery floss, bits of floral fabrics and ribbons combine together to evoke funny, colorful characters. Her softies amuse me and lift my spirits. Come meet Jess and her work. Formally trained as a painter at Glasgow School of Art, Jess now lives in Bristol, England where she is a full-time maker and mom to three kids. 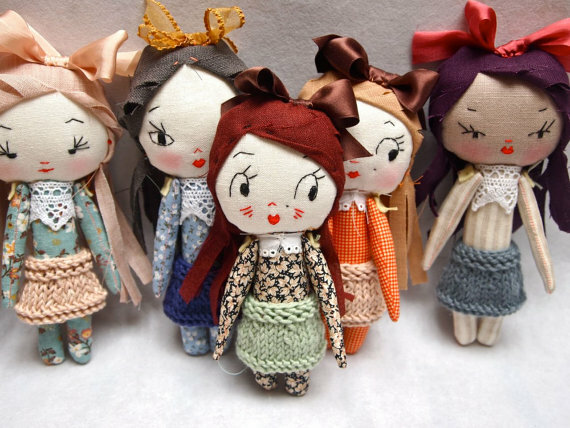 making fabric sculpted doll characters ever since. Life is exhausting but rich." Jess grew up in a creative household. Her own mom is a knitter and sewer and made all of Jess's clothes when she was growing up. Her dad taught furniture design. Most of Jess's work is one-of-a-kind. Truly no two of these characters are the same. Jess loves bright colors and vintage fabrics. I'm particularly struck by the wonderful facial expressions she's able to evoke with just a few lines of thread and some felt cutouts. Buzzy and the birds by Jess Quinn. Her dolls and toys have a nostalgic feel, but are still so modern. Here are a few of my (many) favorites. She makes both animals and dolls from cloth, but she also works with shrink plastic and pegs and clay. Jess draws on mugs and shirts and wooden spoons. I think she could take anything as her canvas and make it charming. I'm inspired by Jess Quinn's attention to tiny details and freedom to experiment with all sorts of materials. She has a signature style that is easily recognizable and her work is incredibly beautiful. 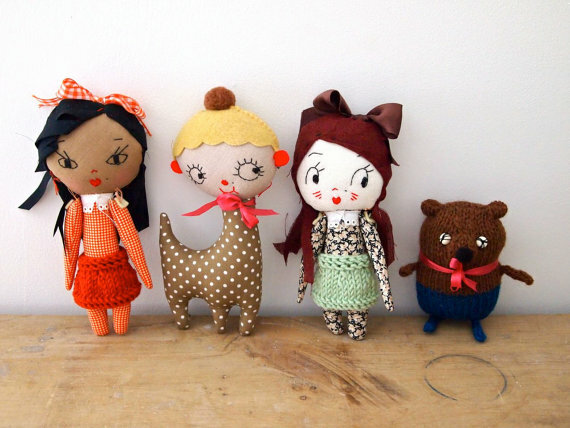 Check out Jess Quinn's blog to see what she's up to most recently and head over to her shop on Etsy to get yourself an original doll. 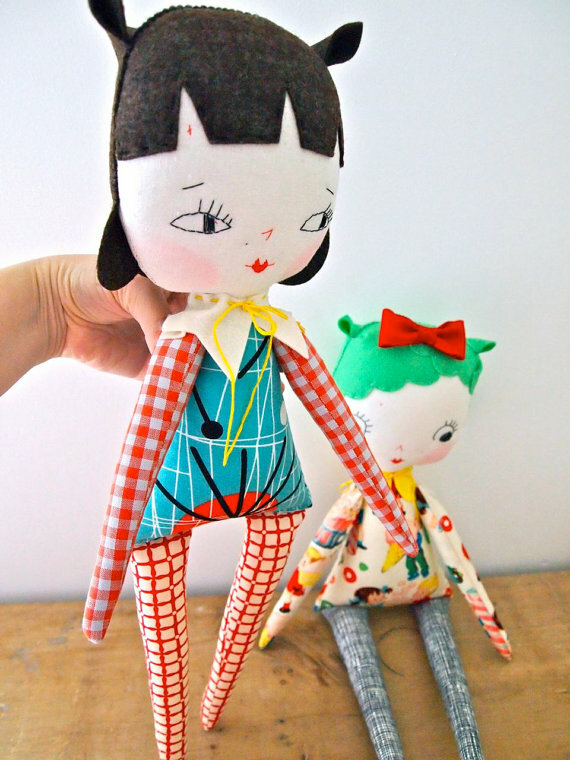 I am a huge Jess Quinn fan, and featured her on my blog today, too, as one of my very favorite doll makers! I am right there with you on the charming old-fashioned feel and amazing facial expressions. Lovely article! Thanks Rachel. Jess is a true inspiration!